In 2020, Esty and I are leading a trip to Israel, VIP style! We are very pleased to announce that, in response to requests, we have decided to join colleagues from across the country and around the world and take part in the Jewish Learning Institute's 'Land and Spirit' Israel Experience, next spring, March 15th-24th, 2020. This is a great opportunity to see Israel as never before and I know you will want to be part of our delegation from Houston/Bellaire. Journey of Learning: Explore Israel's soul. The Jewish Learning Institute will bring our rich history to life as we discover the origins of our nation and the spiritual secrets of the land’s holy sites. Israel Today: Hear from Chief Rabbis, military brass and political leaders. Our group will be addressed by Israel's leaders and gain an insider's view of modern-day Israel's challenges and triumphs. Mission of Solidarity: Head to the front lines of Israel's fight for survival. The trip is highlighted by a visit to the beleaguered community of Hebron and an intimate barbecue with Israel Defense Force soldiers and officers where we will be able to express our support to our brothers and sisters. Five Star Amenities: Concierge service from the moment you arrive, first-class accommodations at luxurious hotels, five-star gourmet meals and the very best Israel has to offer in education and entertainment. Custom Itinerary: Every person wants to see something different andin the limited time we have, you want to maximize each day. On most days you’re able to select one of five (or more) options of where to go. People Like You: In true Chabad style, the group will be a cross section of people. Everyone feels welcome, comfortable and inspired. While the trip is facilitated by JLI, the participants are people from all walks of life. There are no mandatory prayer services or solicitations the entire trip. Cost Effective: Being that we are going off-peak and traveling with a large group, you are getting the highest quality trip! You also can make monthly payments for the next 12 months, if necessary. Ask me for more info. We extend a personal invitation to you, please consider joining us and fellow members of our community (some of whom already made reservations) on this trip of a lifetime. 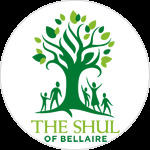 Please call me at 713-839-8887 or email me at rabbi@jewishbellaire.com for more information.